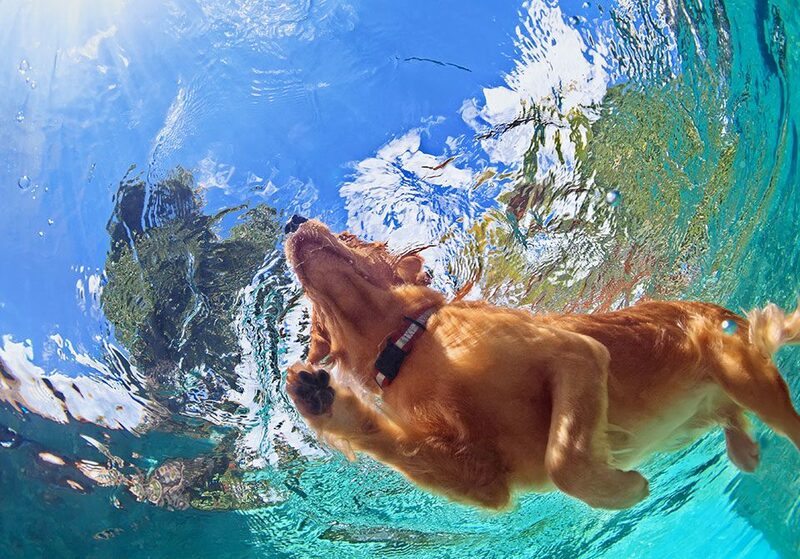 Can your Dog go for a Swim? The most essential and crucial part of your swimming pool maintenance is, keeping your swimming pool water clean. Most pool owners consider this task as the biggest headache when it comes to maintaining a swimming pool. Your swimming pool water needs to be really clean as your swimming pool with clean water will be an inviting place for you and your family but most importantly it will keep you all away from a number of diseases and infections. 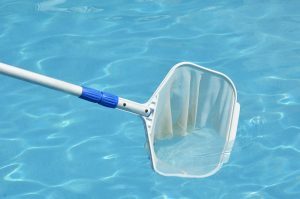 You need to be aware of toxin or pollutants that generally contaminate your swimming pool’s water. 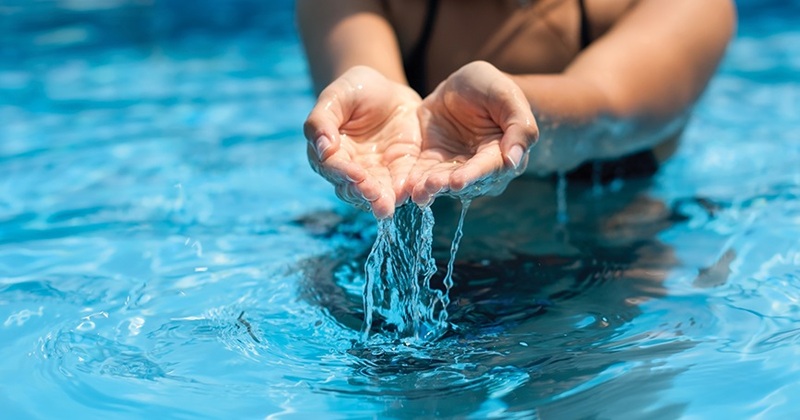 Your pool’s water generally gets contaminated by environmental pollutants, such as dust, leaves, chemical wastes, pollen, spores, germs, and so on. Your sweat, body oils, and body fluids likewise pollute your swimming pool’s water. Luckily you can keep these pollutants from entering into your swimming pool’s water or if it can’t be avoided, you can get these contaminants totally out of your pool water. How? Your swimming pool has a flow pump and filter. Your swimming pool pump makes your pool water move through your pool filter every day, hence the flow and pump filter function is to eliminate undesirable toxins and decontaminated organic materials from your pool water. What you need to do is, to ensure that your pool is geared up with a great quality pump and a quality filter. You need to likewise do regular inspections to make sure that your swimming pool pump and filter are working well. In case you see any problem, you should get it fixed by a professional. Sand filters are the most common filter utilized in pool these days. These filters are much easier to preserve than the diatomaceous filters. The diatomaceous filters can filter out finer particles of dirt, but they need more upkeep. Cartridge filters, which are rather easy to keep, are also widely but zeolite filters are growing pretty popular. The filters with zeolite, particularly the clinoptilolite mineral, can filter particles as finely as diatomaceous filters. In addition to this, the zeolite filters do not need any extra maintenance and they also have capacity to soak up ammonia and its complexes, minimizing combined chlorine and offensive chlorine odors. You also need to backwash your pool filter. 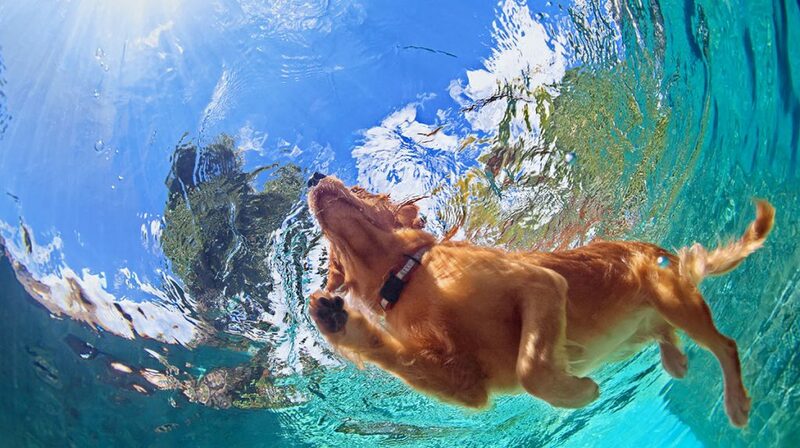 While filtering water, some dust, dirt and other particles get caught in your swimming pool filter, which obstruct the passage of water thru the filter. As a result, your filter loses efficiency. Backwashing your filter will send water backwards through the filter and flushes the dirt out. Your pump will assist in circulation of the swimming pool water and remove drifting or suspended particles of dirt, however it can’t do anything about contaminants that have actually settled to the bottom of the swimming pool or the ones that are “stuck” to the walls; these can only be eliminated by “routine brushing and vacuuming” of your swimming pool. Hence, to keep your swimming pool water tidy, it is also very important to check your pump regularly. If you can’t do these tasks because of your busy schedule, we advise you to hire a professional. They are experts in the field While there are costs involved in hiring a professional pool cleaning service to provide routine maintenance, the costs are likely lower than one might expect. Furthermore, when you factor in the larger costs down the road that might be needed to properly clean and repair the pool if it has not received professional care, the price tag for a pool cleaner looks even more reasonable.